Well, that last month and a half went awfully fast. Sorry all, I’ve been a tad busy to get a new posting up. Big news on the Legs home front. We bought a new house and took possession about 5 weeks ago. An old cottage at the front built in 2 stages, and a 1991 extension to the rear. It needs “some” reno work before we move on and have been busy pulling together prices, talking to builders and suppliers, starting some of the demo work and other odds and sods. Of course the prices have come in high (surprise surprise) so we have taken a step to the side and are looking at staging our renos and also pming as much as we can ourselves. What this photo doesn’t show is a lovely man cave/shed down the back. Concrete floor, 3 car width wide – woohoo. Hopefully we’ll shift in somewhere before mid 2019. An update on my fund raising for the Cancer Council Ride for a Reason. 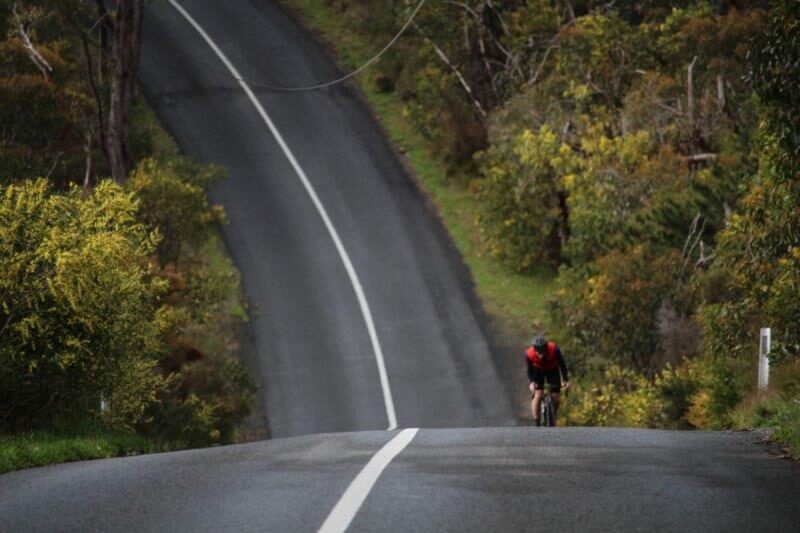 I’m challenging myself to ride 1000 km during the 10 days of the 2019 Santos Tour Down Under this January with the Ride for a reason team to fundraise and help beat cancer. With your help, I’m around 75% to meeting my goal of $5000, but I need your support to get up my target. You know me, I haven’t asked for much from you over the years, and I think it’s been running for over 4 years now, so if you’ve ever enjoyed reading Wednesday Legs over the years, or come down to the Willunga Hill stage of the TdU and enjoyed my hospitality, or you are just a great person, I’m down on my knees, begging you please, DONATE to support my ride and let’s beat cancer together! The news a few weeks back was sad beyond belief. Sherwen and Liggett brought France to my Loungeroom for many a year, and up until recently had been the only voices of cycling that mattered. Sherwen commentated on the Tour de France for more than 30 years, most of them alongside Phil and brought to our screens through that great Australian public broadcaster SBS. Prior to becoming a broadcaster, Sherwen rode as a professional in the late 70s and early 80s, riding in the Tour de France seven times and winning the British national championship twice in 1986 and 1987. Sherwen was also involved in setting up a cycling charity, Paul’s Peloton, to help send bicycles to Uganda, where he lived since he was seven. Cycling won’t be the same. RIP Paul Sherwen. Paul Sherwen, who has died of a heart attack aged 62, was a pioneering member of the group of English-speaking cyclists nicknamed the Foreign Legion, a doughty five-times Tour de France finisher and, together with Phil Liggett, half of the Channel 4 commentary pairing that brought the race into British sitting rooms daily for the first time during the late 1980s. “Phil and Paul” became the voices of the Tour de France across the English-speaking world: the voluble Liggett described the action and the more measured Sherwen detailed moves and personalities. For a generation of fans – initially in the UK, later across most of the English-speaking world – they were the defining voices of the sport. By this year, Sherwen had attended 40 tours. The pair made an arcane European sport accessible to viewers who might only vaguely have heard of the tour, who appreciated French scenery but were strangers to the niceties of bike racing. The goal, Liggett said, was to keep viewers from putting on the kettle until the commercial breaks came. It was a partnership that endured for 33 years, inspiring at least one fanzine – which took its title from the phrase which introduced most Sherwen insights, “Well Phil” – and took them to a wealth of English-speaking broadcasters worldwide. Latterly they worked solely for NBC. The son of Margaret (nee McGowan) and John Sherwen, Paul was born in Widnes, Cheshire, but grew up in Kenya, where his father managed a factory producing fertiliser, paint and insecticides. The family returned to Britain when he was 14, after which his parents divorced. He was educated at boarding school in Kenya, and later said his disrupted childhood made him a highly adaptable person, which served him well through a globe-trotting life as a professional cyclist and broadcaster. It also left him fluent in Swahili, probably a first for any professional cyclist in the 70s. Sherwen returned to Africa and settled in Kampala, Uganda, with his family in 1996, and bought the lease on the Busitema gold mine in the east of the country. The other shareholders included Liggett and Lance Armstrong. Sherwen met the latter when working as press officer at the Motorola team from 1991 to 1996, when one of his jobs was to introduce a callow, brash Armstrong to the media. Latterly, Sherwen was involved in conservation work in Kenya. He also became chair of the country’s Chamber of Mines and worked closely with Bicycles for Humanity, a charity that delivers bikes to African countries and has set up a network of over 200 bike shops. He is survived by his wife, Katherine, and their children, Margaux and Alexander. This year Wednesday Legs featured some fascinating and entertaining postings and some absolutely gems of people and businesses in our cycling world. bade farewell to Mathew Hayman. “I have been riding bicycles since childhood and drawing pictures just as long. This coming TdU, the good people over at Ride International Tours are teaming up with extremely talented and well-known cycling artist Michael Valenti for the 2019 Tour Down Under. Michael is a Chicago-based cycling artist that Ride International Tours will be launching as their first Ambassador. Michael’s passion for cycling has been going strong for 30 years and it is his primary motivation as an artist. With a love for turn-of-the-century art posters Michael is bridging the gap between the old and new. Whilst in Adelaide Michael will be heading over to the Rapha Pop Up every afternoon after the race finish to auction his original artwork, with a grand finale auction on Sunday that will go live on Rapha’s Instagram feed, so it’s going to be a very exciting time. As an Offical Santos Tour Down Under Tour Operator, Ride International Tours are proudly introducing the TDU and SA to Michael’s fans – who are mainly in the US, but has followers worldwide. They want to share their love of this great bike race as well as their passion for South Australia so that includes the diverse landscape, amazing produce, historic towns and revealing local secret. The collaboration all came about as Grace from Ride International Tours has a passion for clever, creative and unique original art and when she saw Michael’s work she was blown away with his unique expression and talent. Grace has been following Michael for years and proposed the idea that he should join them on tour in Adelaide because we think the TDU has as much atmosphere as the TDF, Giro & Vuelta. He admitted he has little knowledge about Australia and TDU. He’s booked and will land Jan 12th. I’m looking forward to seeing what he produces, and being a parochial South Australian keen to make him experience some of the best of what South Australia can offer, so please if you run into him, make him feel welcome.